IT was a ridiculous idea. I don’t know what I was thinking. 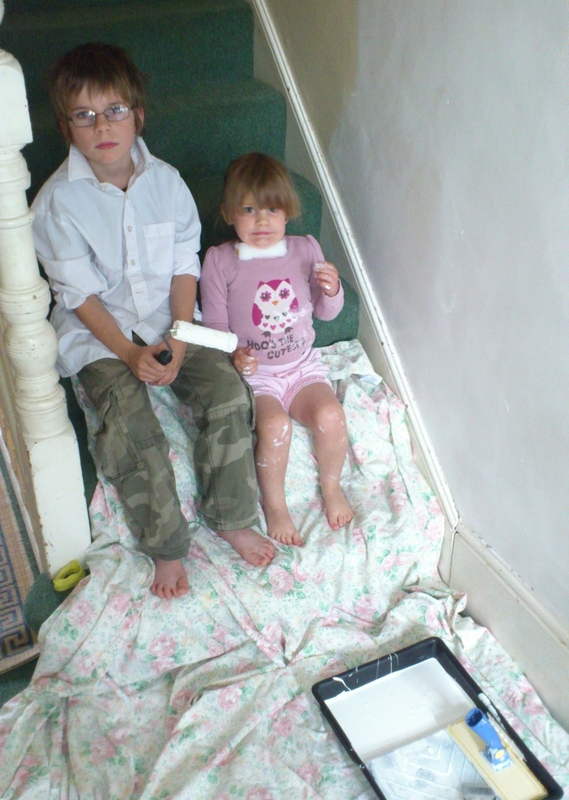 I agreed to the kids helping me paint the hallway. It was one of the many jobs I’d started before the holidays which I foolishly thought I could continue while the kids were off. Silly, silly woman. They were in old clothes. They had strict instructions. They helped me lay dust sheets, they promised to be careful. Within about ten minutes there were lumps, yes lumps of white paint on the walls at Bonnie level. Billy thought it was boring waiting to be allowed to start and painted where there the carpet below was exposed. Thankfully, he didn’t spill a drop but got bored and wandered off. 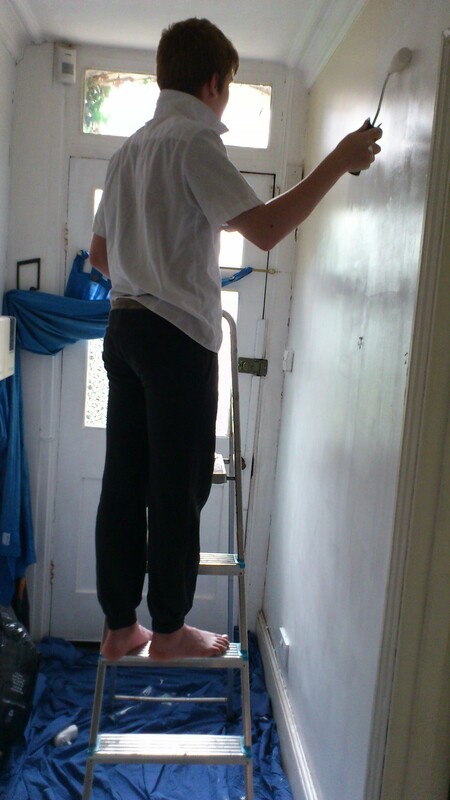 Jed did well on one wall, but realised rollering makes your arm ache and left a patch unpainted in the highest corner. Doug sensibly stayed out of the way. When I called a halt to this débâcle and removed the dust sheets, I found little white toe marks on the green carpet. Bonnie found it much more fun to dunk her bare foot in the tray while no one was looking. Yes, and we’ll be ‘forgetting’ until you’re all back at school and the painting elf comes and finishes it. hehe. Better to have send Steve off with them & just do it yourself how YOU want it done (even if it does take a bit longer).